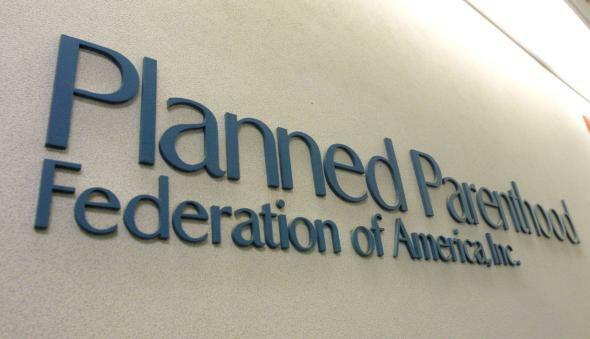 Planned Parenthood says "extremists" are behind Wednesday's DDOS attack. Planned Parenthood’s website went down Wedneday afternoon. This past month has been a rough one for Planned Parenthood. The health care organization has been the target of a misleading video campaign, a database hack targeting employees, an attempt to strip it of its federal funding, and a grammatically challenged tweet from Marco Rubio. Wednesday afternoon brought the latest ordeal for the organization, when its website suffered a “distributed denial of service,” or DDoS, attack, in which hackers flood site with traffic to prevent others from visiting. BREAKING: http://t.co/Q8cXe58njh health website is under attack by anti-abortion extremists. Currently, Planned Parenthood’s site is still down, with the organization keeping it offline while it worked on security precautions. Visitors to the site are redirected to Planned Parenthood’s Facebook page, encouraged to use Google Maps to locate their nearest center, and to call to make an appointment. As I detailed earlier this week, Sunday’s hack put Planned Parenthood employees in potential danger by exposing their names and contact information. And this new DDoS attack puts Planned Parenthood’s clients at risk by refusing them access to medical information they need. Each day, some 200,000 people visit the website for information on a variety of reproductive health issues. If it really needs to be reiterated, the majority of Planned Parenthood’s resources is not devoted to abortion, which accounts for only 3 percent of the services provided. The funds for abortions cannot come from the federal government because of the Hyde Amendment. With the federally funded $500 million, Planned Parenthood provides information on birth control, STIs, and parenting, and it conducts life-saving medical procedures, including preventive screenings. So far, no one has claimed responsibility for the DDoS attack, and it is not yet clear if the attack is linked to 3301, the organization that hacked Planned Parenthood’s database on Sunday. But whoever is debilitating the website is actually targeting the hundreds of thousands of Planned Parenthood clients in need of important medical information. *Update, July 30, 5:10 p.m.: This sentence has been edited to clarify that the restraining order only applies to StemExpress employees in the jurisdiction.